The Office of the National Coordinator for Health Information Technology (ONC) will be offering two awards with a total of $1.5 million in funding opportunities for projects that advance common standards designed to improve health information for both consumers and providers. “They serve as building blocks for future efforts,” said Karen DeSalvo, National Coordinator for Health Information Technology and Acting Assistant Secretary for Health at the Department of Health and Human Services (HHS). DeSalvo spoke at the Global Health Care 2016 Health Datapalooza on Monday, addressing the need for interoperability and cooperation health data. The first new award is the High Impact Pilots (HIP) Cooperative Agreement Program, which aims to encourage standards and technology that can improve the sharing of health information, the delivery of care, and the user experience. There will be up to seven awards in this category, and awardees are expected to produce results within a year of receiving the funds. The second ONC award is the Standards Exploration Award (SEA) Cooperative Agreement Program, which, according to the announcement, will enable awardees “to test solutions, evaluate scalability, and identify the potential impacts of their selected standards and technology solutions.” There are up to five awards available in this program. Both awards close for letters of intent on July 10. “Consumers will not only be able to move their data, but see that it lands where it matters most,” DeSalvo said of the program. She also emphasized the importance of working and cooperating with the private sector through these and other avenues. 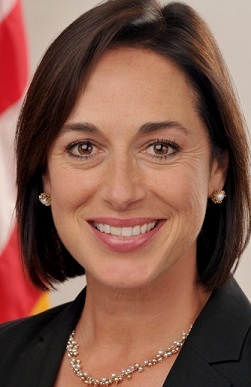 “Our relationship with the private sector is critical,” DeSalvo said, citing that private health data companies service 90 percent of patient beds in the United States and span 46 states. DeSalvo also said that the industry has to have a culture change, in which data is more readily available to consumers and interoperability is key. To that end, she also said that she hoped the industry would work toward developing “market-ready, user-friendly software and applications for both users and clinicians.” The goal is an environment in which health data is ubiquitously and securely available.